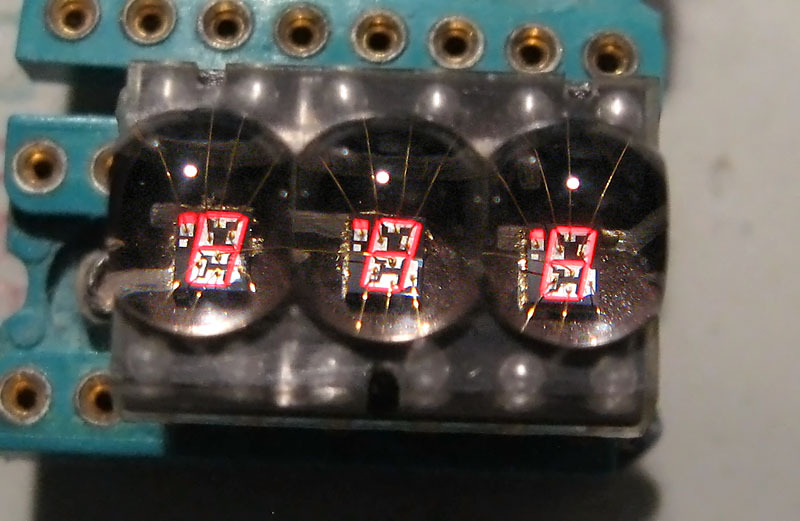 The Litronix DL330 series of parts is a fairly typical example of early multi-digit seven segment display technology. 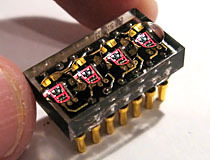 The DL330 series is constructed of single-die digits - all seven segments are etched into a single die. 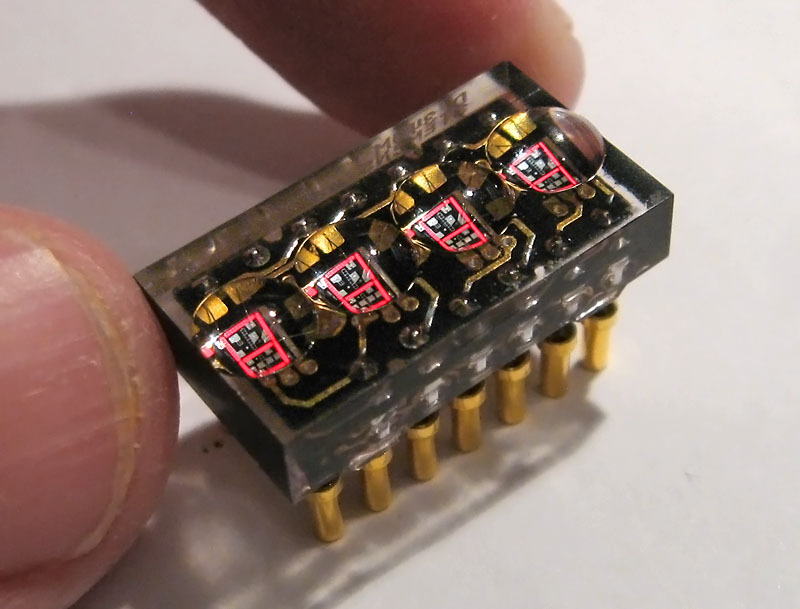 In an effort to make these single die devices more legible, large magnifier lenses were incorporated into the epoxy package. 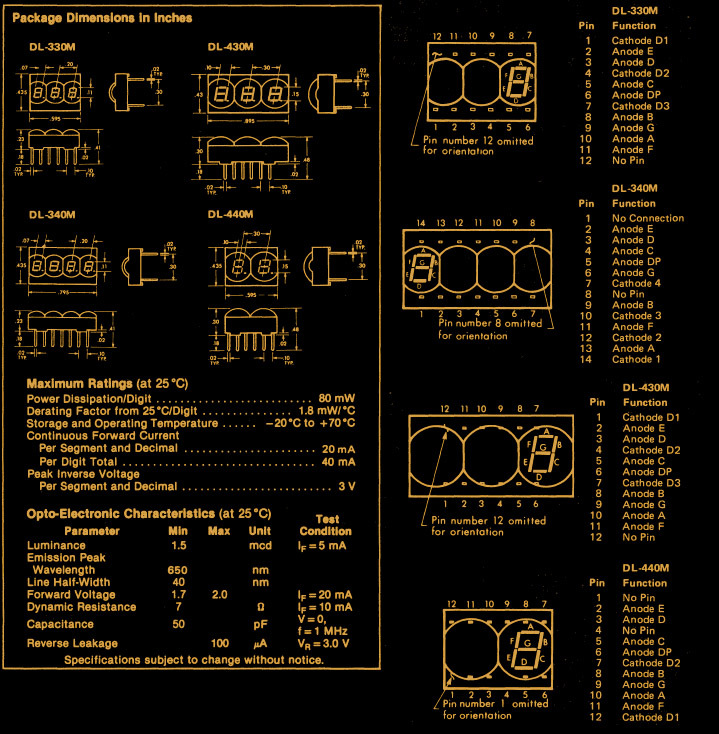 Litronix parts are fairly rugged, but have notoriously lousy build quality; thick tinned traces, sloppily placed dies, and hand-written lot numbers are all hallmarks of a Litronix product. The brightness of these displays is rated at 1.5mcd... suffice it to say, they are rendered completely unreadable in normal daylight. Litronix DL3xx series parts were second sourced by Siemens; the DL340 pictured in the thumbnail is actually the Siemens variant of the part. The Siemens manufactured parts are significantly higher quality than the Litronix units they are designed to emulate, the DL340 shown above has heavy gold traces and a substantially different package with smaller, more precisely cast magnifier lenses. Siemens DL340M four digit LED display. Litronix DL330 three digit LED display. Litronix DL330 & DL440 LED family datasheet.